The expenses incurred at Ashburton show that he was paid £6, his servant £1 16s 8d. Expenses included gold, 6 skins of parchment, velym, 3 sheepskins, 6 calfskins and coloured thread. 4s 4d was for stitching the covers of 52 books at 1d a piece. Joseph Sanders is shown as being a Methodist preacher at Ashburton in 1808-09 and 1821-23. In 1823 Thomas Howe was the successor to Mr. Baker as a printer and bookbinder. By 1827 Mr T Howe was intending to leave Devonshire. 2 shops were to be sold, with 2 parlours, 4 kitchens, 2 drawing rooms, 9 bedrooms, a large printing office, a drying place and an excellent pump of water. A newly built dwelling house behind was included in the sale. Mr John Matterface occupied part of the premises. Supporters of the Whig politician Lord Viscount Ebrington held a dinner in Newton Abbot in August 1830. Mr Creagh, printer of Ashburton, was one of the participants. Wm Stentiford, stationer, died aged 29 in March 1835. In the 1841 census Ellen Stentiford, 5 years old, is in the household headed by Mary Ann Stentiford, bookseller. Also in the household [s a George Stentiford, printer. 40 year old George Stentiford, printer, is head of household in the 1851 census. His nephew Charles, a printer's apprentice, is with him. The property is five households away from the Duke's Head at the Bullring (later demolished and replaced with a bank - No 2 East St), suggesting that it is highly likely to be the building that became No 12 East Street. Ellen Stentiford died in Canada in 1858. She was the only daughter of the late Mr W Stentiford, printer, of Ashburton. Crossthwaite and Co.'s Occult Lozenges, for 'all complaints of the chest and lungs', was available from various retailers, including Rexford, bookseller, Ashburton. 1838 The Western Times could be bought from S Mann, bookseller, every Saturday. William Waycott Chappie [sic], printer, bookbinder and stationer, North Street. Lavington Broom Varder, printer, bookseller and stationer, East Street. 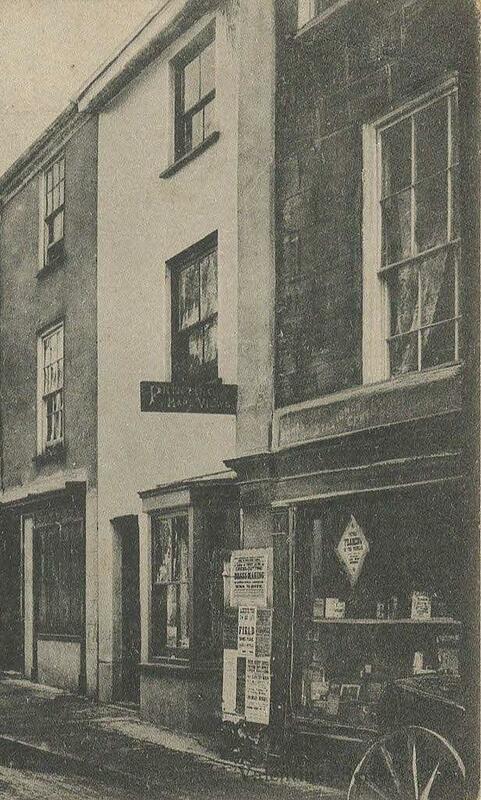 In 1851 Samuel Mann, aged 37, is a bookseller and newsagent in North Street. He was born in Ashburton. 1860 A family residence in the neighbourhood of Ashburton and Brent required a woman to learn to be a good plain cook. 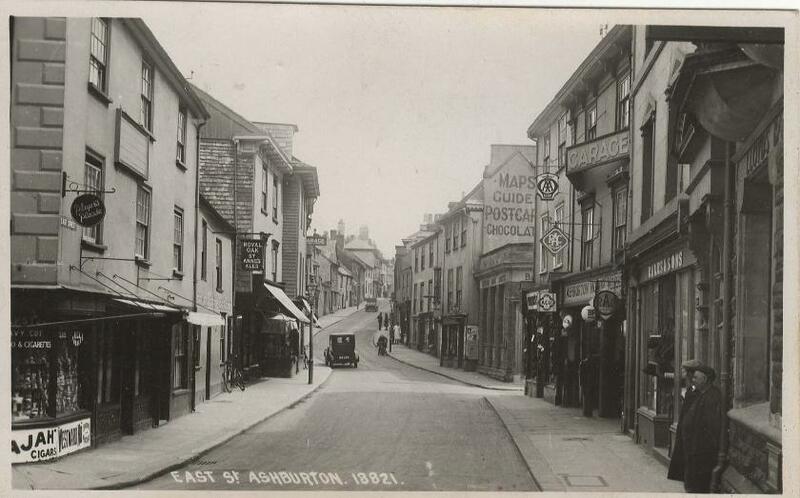 Applications were to be via J Searle, bookseller and stationer, Ashburton. Thomas Skinner, a printer and compositor, is boarding at the Town Mills in the 1861 census, in the household of Robert R Osmond. In 1861 furniture, books, china, a phaeton and a cart mare were amongst the goods of the late Rev W Marsh that were being auctioned at the Vicarage. Catalogues could be obtained from Mr Chapple, printer, Ashburton. James M Chapple, aged 46 and born in Ashburton, is a master printer in the 1861 census. His son William W is also a printer, and the family is in East Street. Wm Waycott Chapple, 32, is a printer on the 1871 census. He is living next door to the Exeter Inn in West Street. Two years later Mr William Waycott Chapple, printer and stationer of Ashburton, married Louisa Jane Passmore at St Andrew's Church. William Waycott Chapple, West St, is a printer in Morris and Co.'s Directory in 1870. Henry Couch Creagh, Staverton Pl, is a printer in the same directory. 23 year old Francis Robertson is a printer and compositor ('compositer') on the 1891 census. An employee, he is living in West Street with his wife Mary A and two children. In July 1893 he inscribed his name on one of the window panes on the first floor of the printing works at 12 East Street: F Robertson Esq. MP - presumably Master Printer. Many thanks to Nils White for the information about the window panes. Charles Eric Dent was baptised in January 1896, the son of Charles Napier Dent and his wife Caroline. Charles Snr. was a stationer. Francis Robertson, printer (compositor) is in St Lawrence Lane in 1901. There is one more household before East Street - the second household then listed in East Street is Charles N Dent, printer, stationer and bookseller. 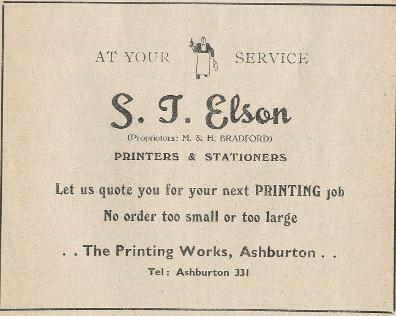 In 1923 a printing and stationery business was advertised for sale as a going concern, with no opposition. Death was the 'sole cause of disposal'. Applicants should contact Dent, Ashburton, S Devon. 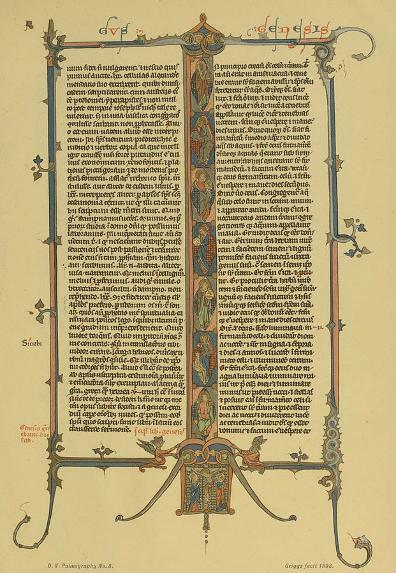 Above: The Printing Works is on the extreme right of the picture. Sometime prior to WW1. Below: A later picture, with the Printing Works advertising that it sold maps, guides, postcards and chocolates. The book Ashburton Grammar School, by W S Graf (1938) was printed by S T Elson, The Caxton Printing Works, 12 East Street. The 1939 register has a Sidney T Elson at 12 East St., a master printer and stationer. He is a special constable. His wife Beatrice is the manageress of a stationery shop.